promoting societal innovation by applying the best knowledge available. In SOLUTIONS, the group on chemical water quality and health is involved, as well as our EU group. These groups are highly experienced in the coordination and synthesis of major national and international research projects and programs, among them the EU-projects TECHNEAU, DEMEAU, PERFOOD. Lead WP Innovative Toxicant Management and Abatement options, member PCC. 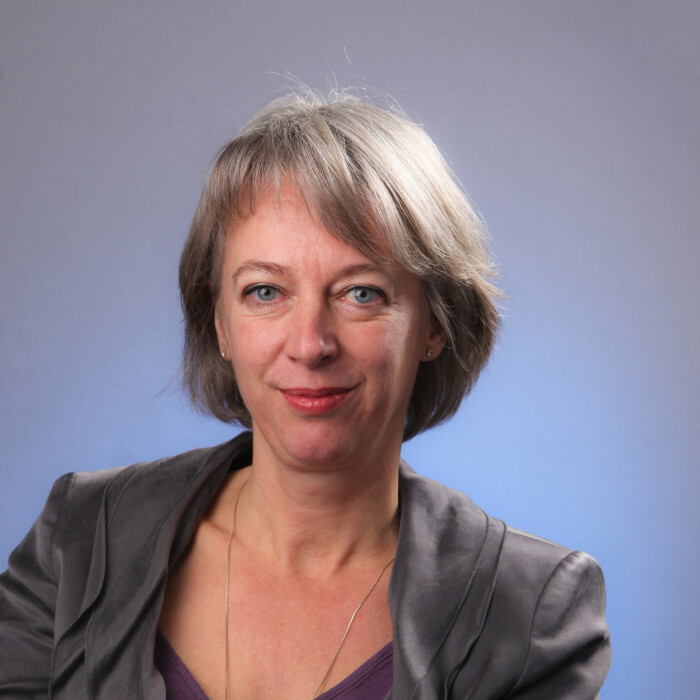 Annemarie van Wezel (MSc Biology, PhD environmental chemistry and toxicology) has over 20 years of experience as scientific researcher in toxicology and chemistry, risk assessment, systems assessment and environmental policy evaluation. She published over 40 papers in peer-reviewed scientific journals, and numerous reports in the context of (environmental) policy. She is experienced in working close to the political process and in interaction with press. She has many years experience in managing complex interdisciplinary research projects, and in management of research groups. She is well-experienced in successfully managing and building research groups up to ca. 60 people. She is serving as a programme director on environmental risks of nanochemicals (7,5 Meuro) in the FES funded NanonextNL, and programme director of ‘Shale gas and water’ (1,8 Meuro) funded by NWO and water utilities. She is a member of the Technical Soil Committee and the Dutch Board on authorization of plant protection products and biocides. She currently serves as a principal scientist and professor on water quality and health at KWR Watercycle Research Institute and Utrecht University. Merijn Schriks is European Registered Toxicologist (ERT) with a background in environmental analysis. During his PhD period he performed scientific research in the field of endocrine disruption with special emphasis on thyroid hormones. At KWR Merijn is involved in several research projects, including method development (e.g. bioassays) to assess water quality, risk assessment and chemical analysis. In addition, he is also involved in a project in which the value of in vitro bioassays is assessed in the framework of water quality determination.